Now that there is an iOS 9.3.3 – 9.2 jailbreak available for all to enjoy, that’s exactly what is happening. Even though iOS 10 is just around the corner – well, two months away – there is still a lot to be gained by jailbreaking iOS 9.3.3 and installing all of your favorite tweaks. Unfortunately though, the jailbreak by Pangu Team for the latest version of iOS has one potential problem, and it results in a nasty error when using Cydia. Step 3: Search for and install the “Stashing for iOS 9.2 – 9.3.3” tweak as shown in the screenshot below. Step 4: Respring the device. Step 1. Install Apple File Conduit “2” on the device from Cydia. Step 2. Next, install iFunbox on your computer and then connect your iOS to your computer. Step 3: Launch iFunbox. From the left column where your connected device is shown, click on Raw File System. Step 5: Once done, disconnect your device from computer and open Cydia, it should start preparing file system this time. You can do the above with iFile too instead of iFunbox if you have iFile installed on the device. Update to the latest version of Cydia Substrate with fix for stashing issue on iOS 9.3.3. I accidentaly removed cydia after jailbreak . I have tried restarting my iphone6 device and then download pp app again. I needn’t have the error but did anyway. Al fine either way. But is it possible to reverted back? as I understand it moves the Application folder in the User area (where is more space). Same error.. And no sources existing..
2nd method worked for me changing stash to stash- ,I used Filza. Does Stashing affect the previously installed tweaks to save space as well? or only after installing Stashing? thanks! 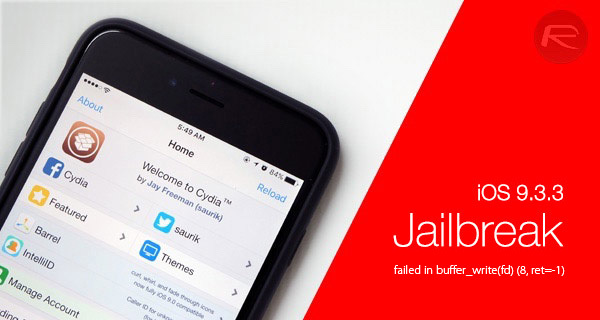 You’ll most likely need to restore the phone and rejailbreak. Okay, so I had to go to the second method since the first did not remedy the situation; but where is the [file’s] location if I were to do this from iFile? I cannot find it. Come on, at least outline the details for the aforementioned app. THANK YOU VERY MUCH!!! This solved the problem, thank you thank you. Method http has died unexpectedly. Now I can’t load a single hing in Cydia!! Help!! Only me and my jailbreak. Just install “apple file conduit 2” after trying to install stashing, it worked for me. after updating cydia subs and even installing stashin from coolstar i have still problem installing KODI because the package needs more space. how to fix? iFunbox method worked well, Kodi installed! To everyone still facing this problem i tried both methods above and they didnt work so i wouldnt waste your time, the way i fixed the issue was going to the “changes” tab in cydia and in the top right hit refressh this fixed my problem. Both didn’t work for me…. When i download the apps from this post it still says that error code so i can’t get further.